It’s another perfect summer day in Houghton, Michigan. Brad King is on-the-go developing plasma thrusters for small satellites at his internationally recognized start-up company. While the day is literally a blast for Brad, what comes next is exceptional. 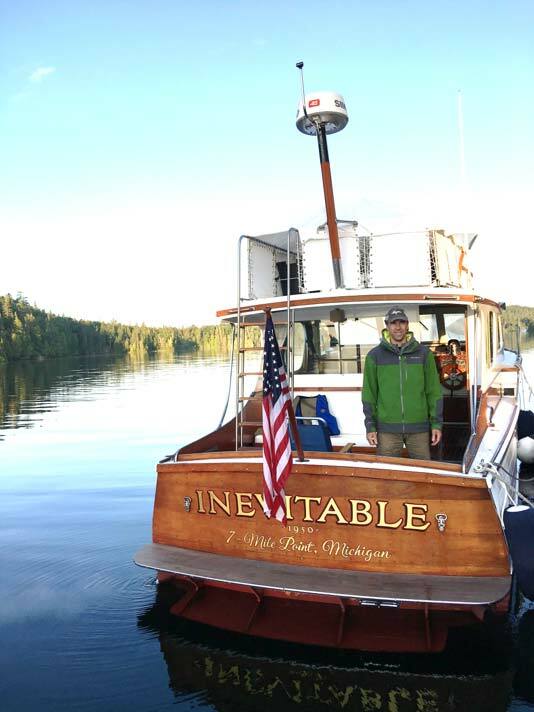 5 minutes after leaving his office, Brad is at the Houghton County Marina climbing aboard his restored 1950 Matthews Sedan classic wooden yacht docked in the Keweenaw waterway. His wife and young son are waiting with “snacks on the boat” for an evening cruise into Lake Superior. Brad throttles his yacht “Inevitable” into gear. Just like that, he’s cruising into the greatest space of all on one of the world’s largest freshwater lakes. You don’t have to be a rocket scientist to figure out this is the life. Brad is co-founder and CEO of Orbion Space Technology and holds a Ph.D. in aerospace engineering from the University of Michigan. 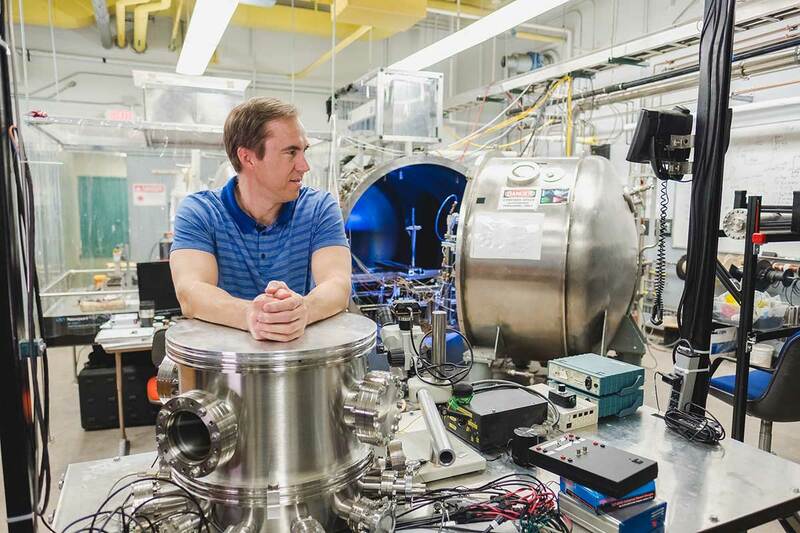 Orbion was a natural outgrowth of the work Brad oversees at Michigan Technological University, where he is the Ron and Elaine Starr Professor of Space System in the mechanical engineering department. He is also the director of Michigan Tech’s Space Systems Research Group, a recognized research laboratory where students design, build, and fly small satellites for government projects. This kind of STEM brainpower is common in Michigan’s Upper Peninsula – one of the smartest regions in the Midwest. Brad and his wife Karyn, a former elementary school principal, were both born and raised in the U.P. After about a decade away, they returned to Houghton in 2000. Brad could do his work anywhere… Silicon Valley comes to mind. But he and his family wanted a more socially connected community with a lifestyle closer to outdoor activities.They wanted to be in the Keweenaw where smart, confident and adventurous minds work big and play larger. For them, top-ranked schools, safe, clean neighborhoods and all the room in the world to wander ranked higher than anything. To top it all off – the areas rugged beauty feeds Brad’s innovative outlook. More than anything, what truly keeps Brad’s family here is life beyond work. Some might find 220 inches of snow per year daunting, but Brad thinks it’s not nearly enough. When the lake is frozen and boating season is over, Brad donates his time as the Board Chair of the CopperDog 150 dogsled race. I live in a community where I can build small satellites with students, develop a space start-up company to sell plasma thrusters, and help manage a 150-mile sled dog adventure – how cool is that?” That wooden yacht also kept him busy. He recalls, “When I was growing up, I had dreams of renovating my grandfather’s boat, but when I found his actual boat rotting on a farm, it wasn’t fixable. So I went on a worldwide search and found an exact duplicate up in Vancouver, B.C. I brought it back here and spent two years restoring it. We named it Inevitable. Pretty much says it all about us finding the Keweenaw and never wanting to leave. Brad enjoys life in a small community. He believes that when people think they are anonymous they lose their humanity: “If you live in the city and someone cuts you off on the freeway, you might be tempted to make an inappropriate gesture or honk your horn because you think you’re never going to see them again. You don’t do that here, because later in the day you will find yourself standing next to them in a grocery store checkout line — and then you feel really stupid.” He feels that when everyone views each other as individuals it makes for a much better place to live. Originally published by Innovation Shore.